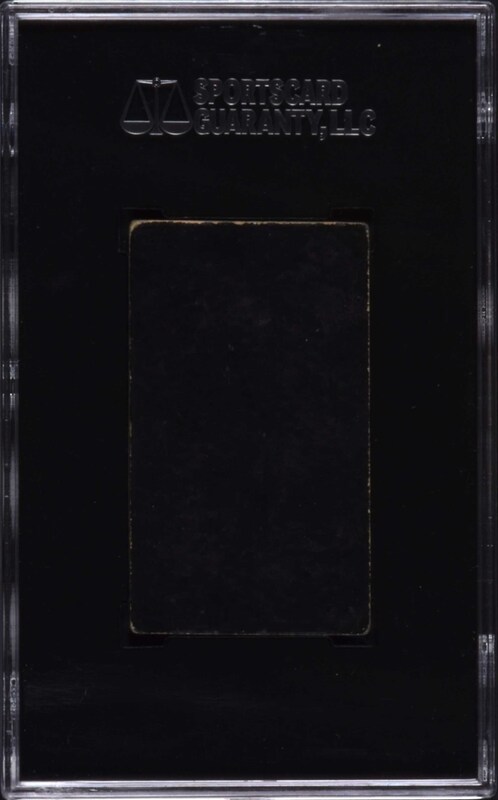 Graded VG/EX 50 by SGC. 1895 N300 Mayo's Cut Plug of Hall of Famer John Clarkson. This is an outstanding high-grade example of what is considered by many to be legendary John Clarkson's most impressive card. 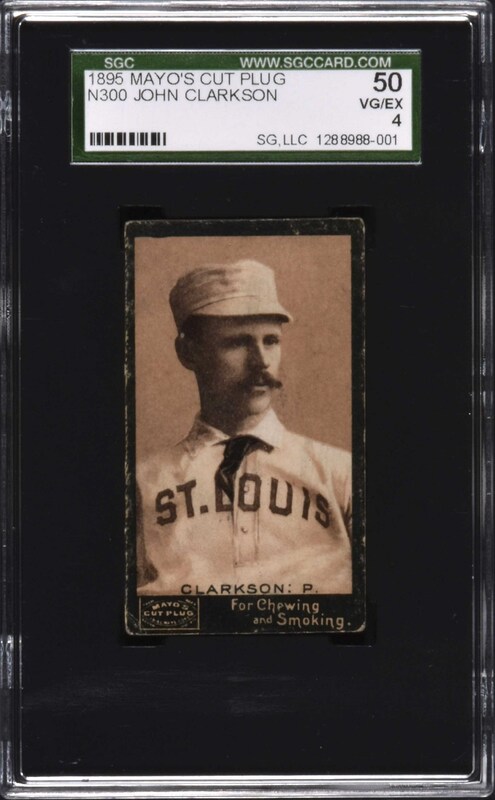 It is also a fascinating card in that even though Clarkson is pictured with St. Louis, he actually retired the previous year, after his final season with Cleveland in 1894, and never played with St. Louis at all. The explanation for this is either that Clarkson was expected to join St. Louis and did not, or that this card was intended to feature Arthur Clarkson, John's brother, who did in fact play for St. Louis from 1893 to 1895, and the manufacturer got their pictures mixed up. The card boasts perfect contrast, and just some very light edge and corner wear, as is almost always the case with Mayos due to their condition-sensitive flush-to-the-border design. The reverse of the card is also perfectly clean with no flaws. The Mayo set includes many of the most striking portrait cards of many very significant nineteenth-century players. This is an impressive example of one of John Clarkson's most classic and interesting cards from this extremely important and popular nineteenth-century series. Reserve $500. Estimate $1,000+.